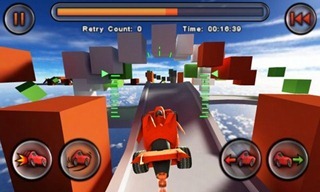 The iOS mega-hit Jet Car Stunts is now live in the Android Market! That's right, True Axis has finally brought the smash hit to the Android platform, with plenty of OpenFeint goodness thrown in for good measure. For those who don't know of the game, it's a 3D driving masterpiece where your opponents are not other player so much as the tracks themselves. There are huge jumps, crazy stunts, and great wrecks. 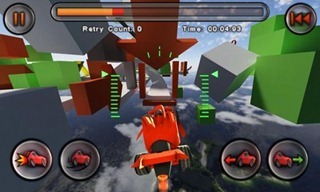 This is one of those really fun games that you'll want to keep - it's on the Angry Birds level, in my opinion. The only bad part is that it's about 40MB, and there's no apps2SD. I had to delete quite a bit on my N1 to install it. Anyway, for those interested, Jet Car Stunts is now in the Android Market for $2.00. Go get it (or scan the QR code below)! Next Version Of HTC Sense UI To Feature Online Media Store, "Natural Interaction"